SAVE VUI KONG 给杨伟光第二次机会 | Lets stand up and speak out for Yong Vui Kong! 为杨伟光请命! Lets stand up and speak out for Yong Vui Kong! 为杨伟光请命! On 14 Nov 2013, Vui Kong’s sentence has been commuted to life imprisonment back dating from 14 June 2007 and 15 strokes of the cane. Good news that Vui Kong is now off death row but we are troubled by the caning . Thanks everyone who have working hard with us in the campaign! 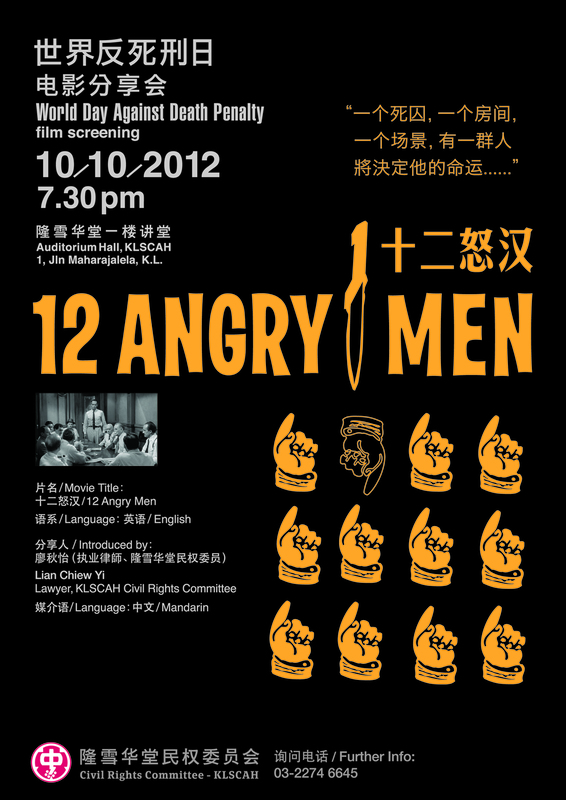 World Day Against Death Penalty 2012_JOIN US!!! hope. For someone like Vui Kong, death is indeed an overly harsh punishment. Killing a mule does not solve any problems if the mastermind remains at large. Amending the law will instead make Singapore a safer place and lead to a fairer justice system for all. 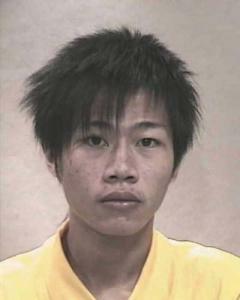 Vui Kong was a naive 19-year-old when he was lured into becoming a drug mule. His boss started by asking him to collect debts, then told him to deliver “gifts” (drugs). These bad people avoided coming into direct contact with the drugs themselves by placing the risk instead on their mules. Such gangs usually target vulnerable people and I am very sorry that my little brother became their unwitting sacrificial lamb. Over the past six years, my whole family has been worrying about Vui Kong. We’ve never given up on him and have worked hard for him. This is because we believe my brother was tricked. He was naive and incapable of understanding the seriousness of his crime. Vui Kong didn’t know his boss was making use of him when he delivered the “gifts” (drugs). Till now, Vui Kong’s mother remains unaware that he faces the death penalty. She suffers from severe depression and my family has kept her in the dark. We hope Vui Kong will now be able to escape death so we no longer have to lie to our mother. Vui Kong has embraced Buddhism. Over the past years, he’s become a vegetarian and spends his time studying Buddhist scripture, like a monk. Knowing this gives my family comfort. He is a completely different person from who he was in the past. Vui Kong has repented and is sorry for his past stupidity. We hope authorities can forgive him as he has now turned over a new leaf. 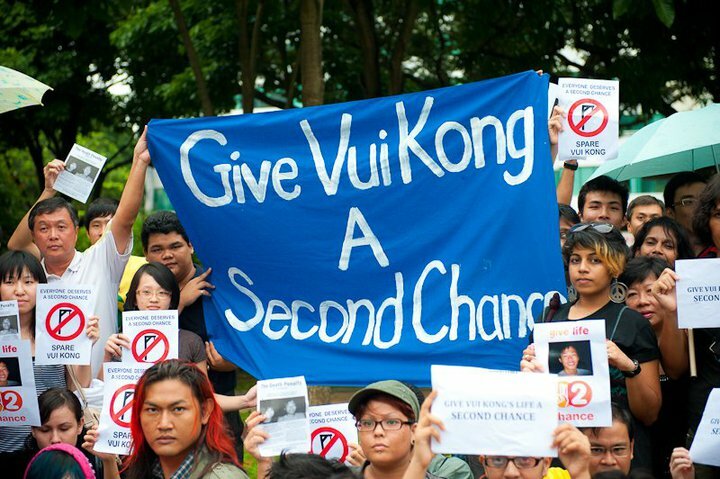 Please give Vui Kong, a first-time offender, a second chance. He has changed and will spend the rest of his years doing what he can to support the anti-drug campaign. I believe Vui Kong, who is now a devout Buddhist, can use his experiences to reach out to other young people. He can use himself as an example to tell society about the evils of the drug trade and prevent would-be victims from becoming mules. I hope the authorities can take into consideration Vui Kong’s youth, family background and other circumstances, before handing out punishment to Vui Kong. He is not a drug lord. He has cooperated and helped identify the real mastermind. I hope that now that the law is going to change, the courts can rethink his punishment and give a repentent Vui Kong, a chance to live. The Save Vui Kong Campaign is pleased to learn that the Singapore Government has proposed an amendment to the Misuse of Drugs Act to abolish the mandatory death sentence for drug mules under certain circumstances. According to the proposal, drug trafficking offenses will no longer punishable with the mandatory death sentence, instead, the court is given discretion to impose life imprisonment in cases where the accused person is clearly a courier not involved in the supply and distribution chain, or where the accused has cooperated with the police or suffers from a mental disability. We also learned that “once the amendment has been put in place, all accused persons who meet the requirements can elect to be considered for a review of the sentence under the new law. This will include accused persons in ongoing cases, as well as convicted persons who have already exhausted all appeal procedures and are currently awaiting execution”. With this amendment, we believe that Yong Vui Kong is eligible to apply for a review of his sentence on the grounds that he was young, naïve, led astray and used as a courier by the drug lords, whom he had identified to the police during investigation, as provided under the new amendment of the law. Yong Vui Kong has since repented and he vows to play a role in the anti-drug campaign. The same goes for Chung Chin Yin, who has testified consistently that he had been misled into believing that what he was carrying is gold bar instead of drugs. He had also provided details of the person who had arranged for his trip, including the name, contact number and description to the police as well as during trial. And many more who had fallen victim to the drug industry, who may have no knowledge of what they were told to carry, or were induced, misled, intimidated or forced into carrying drugs for the drug lords. In the mean time while waiting for the amendments to be officially approved, we urge that all execution be suspended immediately. The decision on Yong Vui Kong’s latest legal application will be delivered by the Supreme Court of Singapore on 4th April 2012 at 2.30pm. Mr Yong Vui Kong, a Malaysia citizen who has been convicted of trafficking in 47.27 gram of diamorphine under s5(1) (a) of the Misuse of Drugs Act (Cap 185, 2001 Rev Ed) and sentenced to death in Singapore, has recently filed an application in the Supreme Court, claiming that the prosecution in exercising its discretionary power to prosecute, had, prima facie, acted discriminatory against Yong Vui Kong, thus violating his rights under Article 12 of the Singapore’s Constitution in relation to equal treatment. The challenge is premised on the facts that the more culpable offender, that is mastermind, one Chia Choon Leng, was not prosecuted while the less culpable offender, that is the mule, Yong Vui Kong was charged and prosecuted for a capital offence. The application was heard by the Supreme Court of Singapore on 14 March 2012 and further submission by counsel on 19 March 2012. The court reserved its decision to a further date. Chia Choon Leng is the mastermind of a drug syndicate and is the one handed the packet and gave instruction to Yong Vui Kong. He is not only involved in drug trafficking, but he actively recruits, instructs and supplies drugs to courier and was at the apex of an organized group that carefully planned and coordinated drug trafficking activities. Chia Choon Leng is a Singapore citizen, born in 1965. Chia Choon Leng was initially charged with 26 counts of offences, mainly of abetting and instigating drug trafficking activities, but all the charges were later withdrawn by the prosecution. 5 out of the 26 counts of offences were directly involving Yong Vui Kong. Chia Choon Leng is now detained under executive order without trial. Chia Choon Leng is not only directly involved in Yong Vui Kong’s offence, he is also the one giving drug to one Koh Bak Kiang. Koh Bak Kiang is a Singapore citizen, born in 1976. He was 26 years old when arrested. Koh Bak Kiang has on the same account charged and prosecuted for trafficking in not less than 14.99 grams of the drug (the statutory limit that triggers the mandatory death sentence is 15 grams). Koh Bak Kiang pleaded guilty and was sentence to imprisonment. Chia Choon Leng was again not prosecuted (charges withdrawn) for his involvement in Koh Bak Kiang’s case. Both Chia Choon Leng and Koh Bak Kiang are Singapore citizen. Chia Choon Leng was not prosecuted (all charges against him withdrawn) and did not stand trial for his criminal enterprise. Koh Bak Kiang was charged with a couple of offences but each did not trigger the statutory limit of mandatory death sentence. Chia Choon Leng is now detained under the executive order while Koh Bak Kiang is serving jail terms. On the other hand, Yong Vui Kong, who is a Malaysia citizen, was prosecuted with a capital offence. The culpability of Yong Vui Kong offence is less than that of Chia Choon Leng, or even Koh Bak Kiang, on the facts that Yong Vui Kong is merely a courier boy, who was only 19 years old when the act was committed. In fact, the judge in Koh Bak Kiang’s case has identified that Koh played a very significant role but he took cognizance of Chia Choon Leng ‘s even role closer to the apex. Thus, in terms of hierarchy of culpability from courts records Chia Choon Leng is higher than Koh Bak Kiang. And Koh Bak Kiang is higher then Yong Vui Kong but Yong Vui Kong gets the most severe punishment for not knowing the legalities of prosecutorial discretion and the ultimate punishment of death meted out to him. We feel that the prosecution, in exercising his discretion to prosecution Yong Vui Kong with the capital offence, while not prosecuting (charges withdrawn) Chia Choon Leng and prosecuting Koh Bak Kiang with a non-capital offence, even though all of them are in the same criminal enterprise, prima facie, shows that the prosecution has acted discriminatory against Yong Vui Kong based on nationality. We feel that this is a serious breach of Yong Vui Kong’s rights to equal treatment under international human rights law and we urge the Malaysia government to take all necessary actions to protect its citizen, in particular, Yong Vui Kong, including bringing the matter to the International Court of Justice. Malaysians convicted of drug crimes in Singapore are led to the hangman’s noose, while citizens there are allegedly being led away. KUALA LUMPUR: It appears that there might be double standard for those on death row in Singapore- one standard for Singaporeans on drug charges and another for Malaysians. There have been accusations that Malaysians convicted of drug charges in Singapore are being kept on death row, while Singapore citizens there are allegedly led away from the hangman’s noose. Sentenced to death in 2009, Sabahan drug mule Yong Vui Kong’s supporters have been appealing to the Singaporean courts for him to be let off the death penalty, but with little success. Meanwhile, Yong’s two Singaporean associates – including a syndicate “mastermind”- have been allegedly taken off death row. She was accompanied by Lembah Pantai MP (PKR) Nurul Izzah Anwar, Bukit Bendera MP (DAP) Liew Chin Tong and Tawau MP (SAPP) Chua Boon Sui. Yong was arrested by Singaporean authorities in 2007 (then aged 18) for drug trafficking, and subsequently sentenced to death. Ngoew alleged that depositions and testimonies made during Yong’s trial had showed that two more Singaporeans were involved. Ngeow said however, that Singaporeans Chia Choon Leng, the alleged drug trafficking mastermind, and Koh Bak Kiang, a drug mule, were also involved but received better treatment. Though initially charged with 26 counts of offences – including starting drug trafficking activities – all the charges were later withdrawn by the prosecution. Ngeow added that five of these 26 counts directly involved Yong. She also pointed out that Bak Kiang who “on the same account” was charged and prosecuted for trafficking in not less than 14.99 grams of the drugs he was carrying. The limit, triggering the mandatory death sentence, is 15 grams. Koh, who pleaded guilty to transporting 14.99 grams of diamorphine, escaped the mandatory death penalty for transporting 15 grams or more of the drug, and is serving a prison term. Yong who was caught with 47.27 grams of the same drug was sentenced to death by the republic’s court. Ngoew is alleging that there is a bias on how the prosecution dealt so severely with Yong but alleged the two locals were afforded leniency. The two Singaporeans were not the only ones involved in drug crimes who were let off death row. In 2002, German citizen Julia Suzanne Bohl was found with 687 grams of marijuana, 187 grams above the death sentence limit. She was sentenced to five years in jail after her government intervened, and was promptly freed after two. Though in support of Yong, Opposition MPs present stopped short of saying if Singapore was actively discriminating against Malaysians on death row . “The least it can do is safeguard the safety of all Malaysians abroad,” she said. Ngeow also alleged that Malaysia, particular its High Commission in Singapore, did not appear to treat Yong’s case with any urgency. “As far as I know, there was not much support for Yong’s case. (His lawyer) M Ravi has gone to the High Commission many times before they actually went to prison to visit him,” she said. She added that the least Malaysia could do for its citizens convicted overseas was to make sure that they got a fair trial. More people have been arrested over drug dealing, despite the shadow of the mandatory death penalty hanging over their heads. KUALA LUMPUR: Malaysia’s mandatory death penalty on drug-related crime does not appear to have stopped drug dealers . In fact, it was the reverse: there has been a steady increase over the last three years, according to a reply in Parliament. In a written answer to Bukit Gelugor MP (DAP) Karpal Singh, Home Minister Hishammuddin Hussein said that 3,845 people had been arrested for drug dealing in 2011. “Police statistics for the arrests of drug dealers under Section 39B of the Dangerous Drugs Act 1952 for the past three years (2009 to 2011) have shown an increase,” he said. According to him, in 2009, 2,955 people were arrested under this section. In 2010, 3,700 people were arrested. Karpal had asked if the 1983 amendments to the Act – which would slap serious drug offenders with capital punishment – had been effective in reducing drug-related crime. To this, Hishammuddin said that the increase was caused by the trade’s ability to make a lot of money quickly; globalisation, creating a borderless world, which opened up a space for drug-dealing; and the “easier process” in which synthetic drugs were made, through the availability of chemical formulas and ingredients. Previously, the Bar Council said that 32 countries around the world had death penalty for drug-related crime. Of this number, 13 of them still enforced the mandatory death penalty, which included Malaysia. The Bar Council’s president Lim Chee Wee said that most drug traffickers and dealers were “low-ranking drug mules”, who were the easiest (in the trade) to apprehend. He added that there was no proof that the death penalty helped to cut down on drug-related crime. Yong Vui Kong’s lawyer, Mr M Ravi, filed a constitutional challenge on 27/01/2012 morning and asked the court to, inter alia, re-open the decision of Vui Kong conviction and to declare that the selection prosecution between Vui Kong and the alleged syndicate mastermind is a violation of the equal protection rights under article 12 of the Constitution. A Criminal Motion has been filed in the Court of Appeal today on behalf of Yong Vui Kong. The motion challenges the constitutionality of the prosecution’s decision to charge Vui Kong with a crime that attracts the mandatory death penalty while withdrawing previous charges made against Vui Kong’s ‘boss’, Chia Choon Leng. Chia has been identified by the Attorney-General’s chambers as the alleged mastermind behind the criminal enterprise that Yong was found to have been a part of. In reply to queries made by Mr Ravi, the Deputy Public Prosecutor confirmed that Chia had been arrested in connection with the trafficking syndicate that Vui Kong was a part of. Yong had also mentioned his name repeatedly to the police and to the court while accounting for his actions. During the criminal trial in the High Court, it was found that Chia was the person who initially contacted Vui Kong, and subsequently provided him with the ‘gifts’ to deliver. The ‘gifts’ that Vui Kong was caught with was found to have contained the 47.27g of diamorphine, which he was sentenced to death for. Such is the phenomenon created by the Mandatory Death Penalty, that despite being caught at about the same time as Vui Kong, in relation to the same criminal enterprise, third parties and parcel in question, the mastermind behind the criminal syndicate remains in detention while the courier that he recruited, who is young, naïve and in desperate need of money, is sentenced to death. This cries out for explanation as it goes against the very notion of justice. According to Mr Ravi, ‘The evidence on record is sufficient to rebut the presumption of constitutionality with regards to the A-G’s decision to prosecute the Applicant for a capital offence while not prosecuting a more culpable party at all’. One such reason is ‘ the lack of any apparent reason for the Attorney-General’s decision other than a difficulty of evidence which is itself difficult to follow given the evidence against Chia’. He cites the speech made by the then Law Minister, Mr Chua Sian Chin, who said that, ‘The death penalty will also be imposed for the unauthorized import, export or trafficking of more than 30g of morphine or more than 15g of heroin…It is not intended to sentence petty morphine and heroin peddlers to death’. The Court has yet to set a date for the hearing. Today (19 Jan 2012) is Yong Vui Kong’s 24th birthday. Last year, we marked Vui Kong’s 23rd birthday not knowing if he would live to celebrate another. However, thanks to his dedicated lawyers and the support of activists and the public, he can now live to see the dawn this Friday. 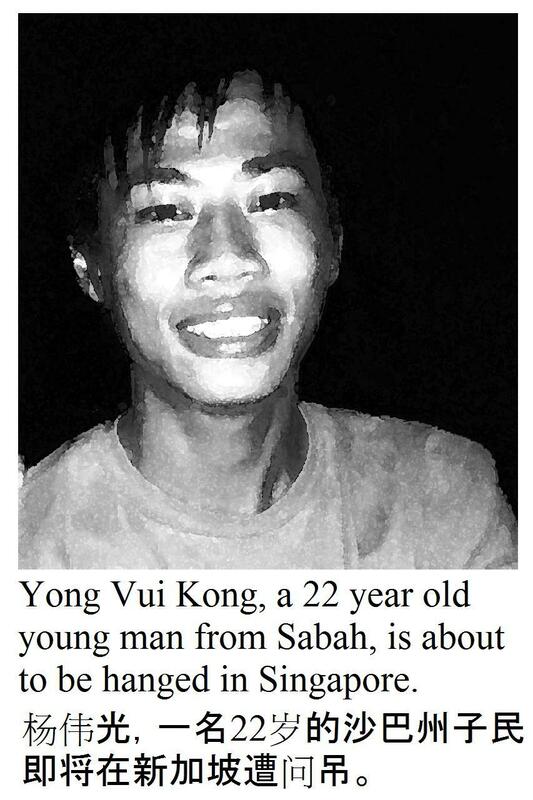 Yong Vui Kong, who hails from Sabah, was arrested in June 2007 for trafficking 47.27g of diamorphine in Singapore when he was 18. He was sentenced to death in January 2009 and now sits on death row. He has exhausted all legal proceedings and is presently awaiting the outcome of his final appeal for clemency which he submitted on 7 July last year to the President of Singapore. Vui Kong had been born to an impoverished and broken family with his mother struggling to raise seven children alone after a divorce. His case caught a lot of attention in Malaysia, Singapore and internationally. The Save Vui Kong Campaign initiated the “Give Life 2nd Chance” campaign in July 2010 and the public responded well to Vui Kong’s plea for clemency. In August 2010, his family submitted 109,346 petition signatures to the Istana asking for Vui Kong’s death sentence to be commuted to life imprisonment. Vui Kong has proven himself in prison by turning over a new leaf. He has repented and is remorseful. He has taken up Buddhism, and seeks to dedicate the rest of his life to counseling prisoners and alerting the public about the perils of drugs. Although the Singapore Court of Appeal has rejected the decision on his judicial review in April 2011, we will continue to do our very best to assist Vui Kong in seeking pardon from the Singapore President. 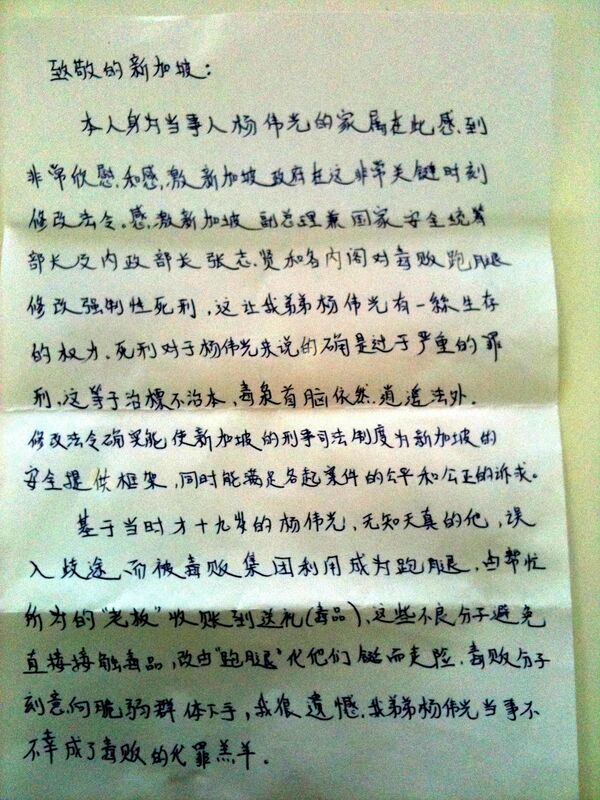 Pleading for his clemency does not mean that Vui Kong should escape the responsibility of the crime. However, Vui Kong is himself a victim of circumstances, and we strongly believe that we should not ignore the plight of the marginalized. This is only the beginning of the debate on the death penalty. Research has shown that the death penalty is not an effective deterrent. There are many factors in the maintenance of public order. For example, professional police investigations and fair judicial system are crucial. Form a caucus to study and review the related legislative related to the mandatory death penalty. The Save Vui Kong Campaign is refining its role and has formed a coalition with other organisations working on anti-death penalty issues. Besides giving attention to individual cases, we will also actively advocate the moratorium of the death penalty in Malaysia. We hope the collaboration will spawn various activities to educate and raise the awareness of the general public about capital punishment. The Death Penalty News Blog which featured Yong Vui Kong’s “last letter” written in July 2011 attracted more than a million page views. Over 100,000 people have read and signed the petition for clemency. Many more who have been moved by his plight, have taken time to write to our president. Those concerned people came from all walks of life and of all ages. Never before in the history of Singapore has a death row inmate received so much attention. Never before have so many videos and articles been published pleading for his life. Never before has the constitutionality of the death penalty been so ably argued in our courts than in the case of Yong Vui Kong. Never before has the death penalty been debated so extensively in our courts and in public. And never before has the presidential power to grant clemency been challenged and determined in our courts. There are many “never befores” in the case of Yong Vui Kong. Whether he lives or dies will have an impact on many of us, not least, the ministers and the president who ultimately will decide his fate. When we turn the pages of our newspapers and chance upon a face of a person executed the day before, we hardly spare a thought about that person or how his family who had to collect his lifeless body in the morning will cope with his death. We don’t know the person and we don’t care. It is his family’s problem, not ours. But with so much having been written and filmed about Yong Vui Kong and his family, I doubt we will remain indifferent. How could we? He is a person we know but have not met. Yong Vui Kong has been on death row for more than 5 years. He was nearly executed many times in the past and he understands more than anyone of us, how precious life is. I am sure the young people who are preparing to celebrate Yong Vui Kong’s 24th birthday this Sunday, 15 January 2011 at Hong Lim Park will feel sad but at the same time they must also feel hopeful, that he will be given a second chance. This is the second time that they are celebrating his birthday at the park. He is so near to them and yet so far away. If only he could be taken to Hong Lim for the celebration for just a few hours. Will Yong Vui Kong be given a second chance? Yes, from all accounts, Yong Vui Kong has repented his crime and has reformed. He has now come out “the better for it”. He is now a devout Buddhist and you can see that from his writings and drawings. He was nearly executed several times during the past 5 years. Some of us may know that just before a person is hanged, he is counselled, weighed and measured, photographed in his best clothes and if he agrees to donate his organs after death, he is medically examined and tested. Yong Vui Kong must have gone through all those tests several times and felt so close to death. 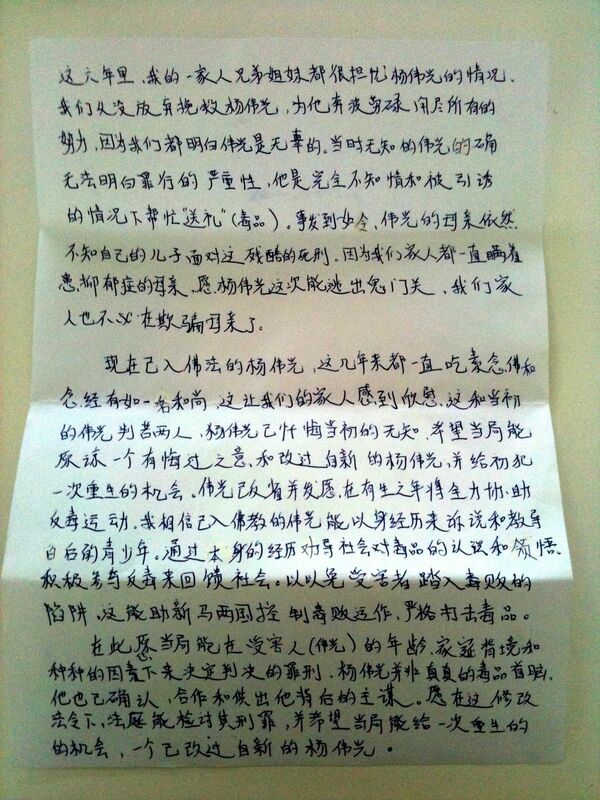 In his “last letter” he talked vividly about other death row inmates who at the dawn of death, became inconsolable. The Yellow Ribbon Project believes that “HOPE CAN ONLY RESTART IF WE GIVE THEM A SECOND CHANCE.” Yong Vui Kong was not given a second chance before. When during his trial the High Court judge, out of compassion, suggested to the prosecutor to give him a chance because of his young age (he was then 18 years old), the prosecutor declined to do so. It saddens me that the prosecutor had such a hard view on his case and I wonder what was the reason since Yong Vui Kong was a first time offender and this fact alone would have been a very importantl consideration for reducing a charge to a lesser offence. Yong Vui Kong’s birthday will be celebrated with sadness this Sunday. But that sadness will not be without hope – the hope that our ministers will be compassionate and merciful, that they will grant the clemency petition of Yong Vui Kong and our president will announce his pardon before the Lunar New Year. Even though I have not met Yong Vui Kong, I am confident that given a second chance, he will make good the remainder of his life. From his writings, drawings and his faith, he will inspire our young. Like Glenn Lim who is now a leader and a motivational speaker, Yong Vui Kong will be an excellent motivational speaker and a leader too. He may also be a great religious teacher, having gone through the most harrowing experience of living in the dark shadow of death and having embraced Buddhism. He will be a great asset to our society and his contributions will be tremendous. Yes, I have faith that this young man will do our country proud if given a second chance. At Hong Lim Park on Sunday, 15 January 2012 at 4 p.m. Give Life A Second Chance activists celebrate Yong Vui Kong’s 24th birthday. If you can spare the time, do join in the celebration. If not, do spend a minute in silence for him on that day. Thank you. 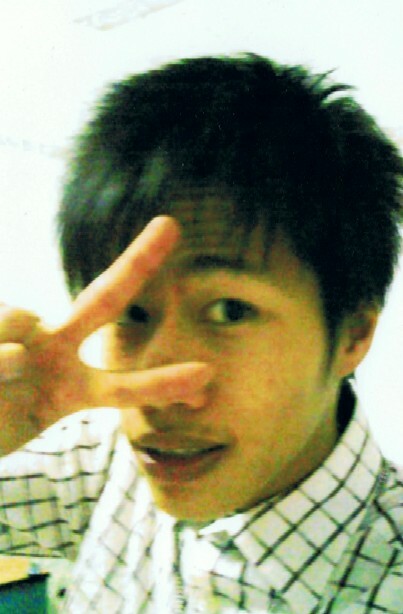 Tomorrow (19 Jan 2012) will be Vui Kong 24th birthday. Last year, we marked Vui Kong’s 23rd birthday not knowing if he would live to celebrate another. However, thanks to his dedicated lawyers and the support of activists and the public, he can now live to see the dawn this Friday. We are inviting the public to celebrate his birthday with him this year. 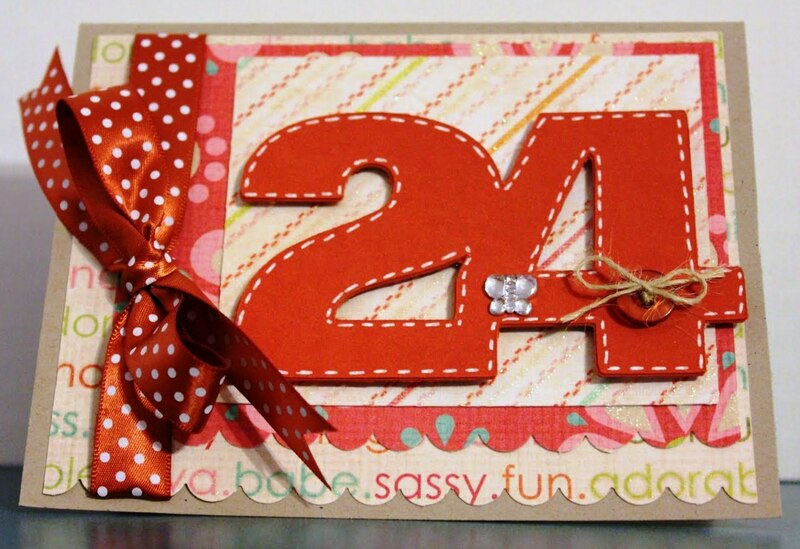 Please write your wishes, thoughts and hopes for him and e-mail the messages to 2ndchance4yong@gmail.com. We will deliver them to Vui Kong through his lawyer M Ravi. If you permit, we will publish the wishes in our blog here. Your story has touched us all and we have you in our thoughts. 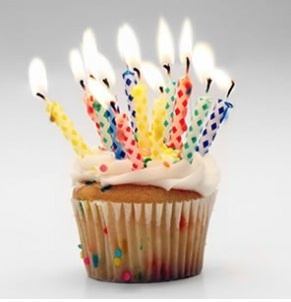 We are all gathered here today to celebrate your birthday. But we are also here to remember your life and what you have done, the good and the bad. Vui Kong, no one here denies that you have made a mistake in life. It is a mistake that is grave, and it has probably affected the lives of others in ways that we cannot imagine. But we simply cannot accept that the punishment you deserve is death. Many who do not understand our cause will think that we are advocating for your release. That cannot be any more untrue. The second chance that we want your to have is a second chance at making things right. What can be better if you can help us prevent many others from stepping down the same path as you did. What better way to solve the drug problem than to educate, and to make people aware. This you have promised to do. And we want to help you fulfil that promise. To those who think that executing you, and the many others on death row, would help solve the drug problem, we can only hope that they can place themselves in your position, and realise the difficulties you faced which eventually led you to make that horrible mistake. If they could only know you and your story, maybe they will change their minds , maybe they will think again. Its is a difficult road to go through, but we are all behind you. We also want you to know that your love for your mother has touched us all. Vui Kong, do not worry, we have her in our thoughts as well. “An eye for an eye, a tooth for a tooth” and “to forgive is divine”. These extremes represent the different poles of public opinion which Toshi Kazama will attempt to bridge. The Civil Rights Committee of KLSCAH and Amnesty International Malaysia have jointly collaborated over the past month to advocate for the abolition of the Death Penalty in Malaysia. This collaboration has spawned various activities to raise awareness and educate the general public on the controversial issue on whether or not the death penalty should be retained. To conclude the month of activities, we are honoured to bring you Mr. Toshi Kazama to share his experiences and views on this issue. 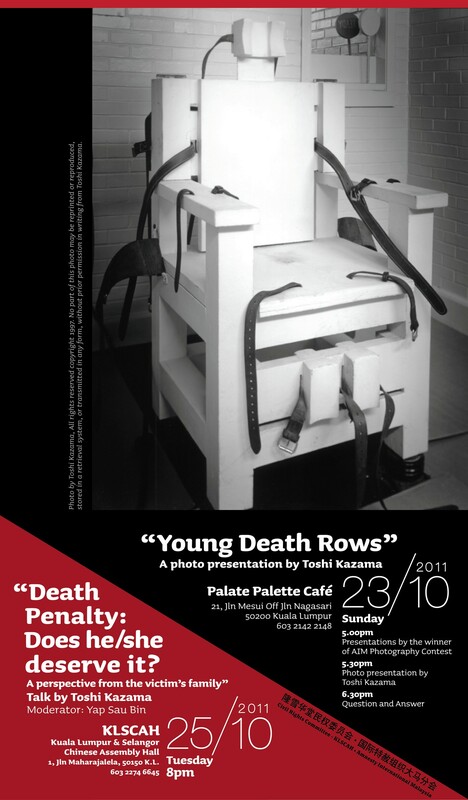 Toshi is a photographer and anti Death Penalty Activist. He is also the founder of Murder Victims’ Families for Human Rights, an NGO which brings together the families of victims and of executed inmates. We generally assume that family members of brutal crimes invariably favour the death penalty as a means of achieving justice and closure for their pain and suffering. The members of this NGO will testify otherwise. Many members of murder victims’ families have come forward to share their stories and voice out their opposition to the death penalty. “Death Penalty: Does he/she deserve it? The Japanese-born Toshi uses his camera as a means to oppose the death penalty. He is best known for his project “Juveniles of Death Row: A Documentary Exploration” where he portray juvenile offenders on death row. His project, which spanned eight years, includes getting to know the offenders’ families, as well as the families of their victims and the prison officials. 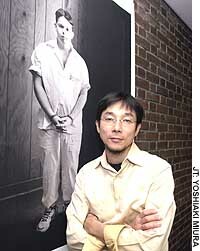 All of Toshi’s artworks focus on the value of human life and respect for each other, showing the reality of the death penalty through his photos and experiences. Toshi has toured the world sharing these photographs and his experiences. Yap was born in Kuala Lumpur, and lives and works there now. He obtained a Bachelor of Arts in Fine Art degree from the Birmingham Institute of Art and Design, England in 1998. 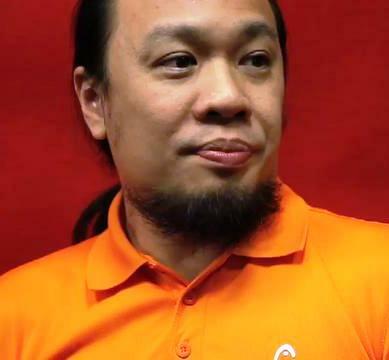 He is currently a lecturer at the Faculty of Creative Multimedia, Multimedia University, Malaysia. Yap is also a founding member of Rumah Air Panas Art Society [RAP], an artist collective based in Kuala Lumpur. His art practice encompasses conceptual work, installations, mapping projects, collaborations, performance and sporadic writings. He had received awards in the Young Contemporaries Arts Award by the National Art Gallery in 2000 and 2002, and has been selected for research residency in Japan under the JENESYS Programme for Creators by the Japan Foundation in 2008. 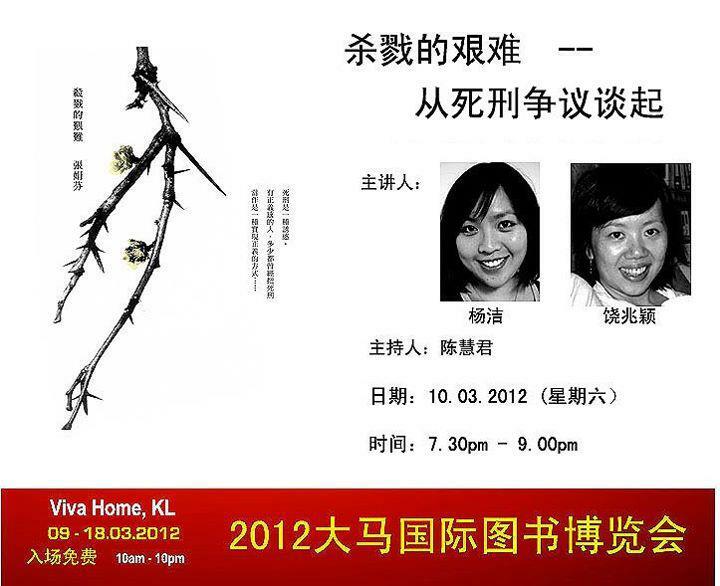 Save Vui Kong Fund Kindly bank in the money to Hong Leong Bank, Account No 20900019050, Name : Ngeow Chow Ying & Liau Kok Fah. - Or Donate Online - You can donate through credit card, maybank2u, mobilemoney etc. Just click the link below http://www.manage4me.com/donation/save_vuikong/"
Click to Join Us in Facebook! Yong Vui Kong, a 23-year old Malaysian, was sentenced to mandatory death in January 2009, for trafficking 47 grams of Heroin into Singapore. He had exhausted his appeals and he’ll be hang anytime! He can only escape execution if the Singapore President grants clemency. 杨伟光在19岁时遭毒枭诱骗运送47克海洛因，而被新加坡法庭判死刑，但新加坡政府违反法律判破坏了他要求宽恕程序。除非新加坡总统特赦伟光，他可能随时被问吊! Will the president save Vui Kong? Vui Kong's story from Lianain Films on Vimeo. Yong Vui Kong, a 22-year old Malaysian, was sentenced to mandatory death in January 2009, for trafficking 47 grams of Heroin into Singapore. He had exhausted his appeals by August this year and he’ll be hang next month! He can only escape execution if the Singapore President grants clemency. 杨伟光在19岁时遭毒枭诱骗运送47克海洛因，而被新加坡法庭判死刑，但新加坡政府违反法律判破坏了他要求宽恕程序。他可能在8月被问吊!